This four-hour, experiential class is focused on tracing, massaging, and memorizing 14 meridians (or pathways) of Chinese medicine. Theory and philosophy is minimized in favor of hands-on practice. We will address relationship of the meridian system to health, healing, and performance, as well as practical applications for massage therapists. This is a rare opportunity to increase your confidence in working with meridians by learning their locations and directions. The class can serve as a very good introduction to acupuncture meridians. 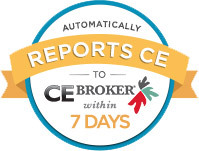 It is also a perfect way to review the 16-hour Meridian Connection seminar. Meridian Massage is a perfect complement to classes in muscle testing and Touch For Health Kinesiology. The material will also be very much appreciated by practitioners of chi gung or tai chi. The concepts and hands-on techniques are useful for anyone who is interested in meridians and health. Develop basic skill at locating and treating 14 meridian channels from traditional Chinese medicine. 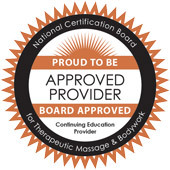 NCBTMB certified therapists and LMT’s in states that accept NCBTMB approval.